Great looking trucks! It's been raining for my part of Nebraska lol... I really wanna take my top off but have not yet. 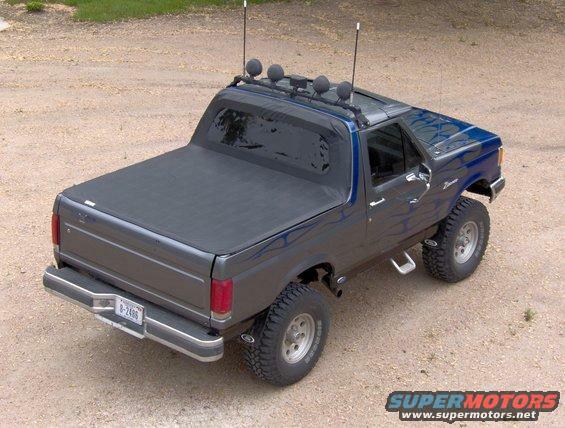 That "top" you have, is that a basic cover top for most pick-up trucks? No its actually a skyler soft top unfortunately they are not made anymore its really nice for the unpredictable weather tho. Bronco Graveyard offers one that looks like the original top. Been thinking about getting one. I'd love to get a Skyler top, tell me if you ever sell it! ive had the 78s top off for three days now and im loving it! lol... andrew anyword on the land? On another note, ran into a guy with an insane lifted white Bronco at Autozone today, he lives 3 minutes away from me lmao. its an 86....i have lots of pics in my supermotors. i just have time for it anymore with work and my little girl. Here's a Nebraska Bronco for ya! Sorry, I just wanted to post that thing somewhere, they want some big money for it. Anyone know of a good engine shop in the Lincoln area? I don't but my friend might, I'll ask her. Hey thanks. I guess I use the term "Lincoln Area" loosely, anything within an hours drive of Lincoln qualifies. And I'd go few hours if it was the best (And cheapest) shop around. What type of engine work do you need done? I picked up a 96 with a 5.8L and I'm going to do a complete engine rebuild later this year. I don't have any experience rebuilding engines and as much as I want to do it myself, I'm slightly concerned that I might get in over my head. So if I can find a reasonably priced shop around, I might have them do the long block assembly. Who knows. I'd really like to do it myself. Maybe I'll quit being a pansy and just go for it. Nebraska bronco right here in Omaha! And yes, I wave at othe broncos too. WOOT! What color is your Bronco? 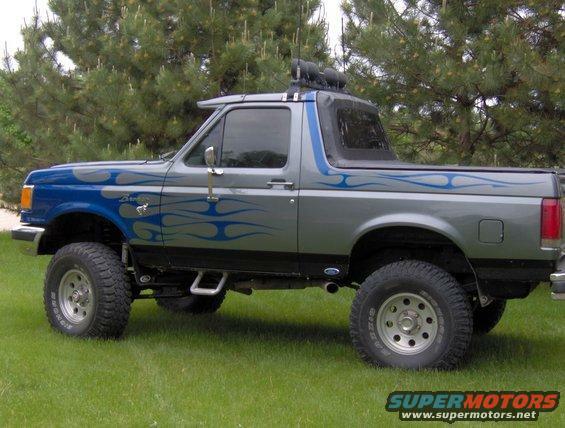 What color is your Bronco?